It's A Dan's World: THIS BLOG NEEDS MORE CAPTAIN BRITAIN! 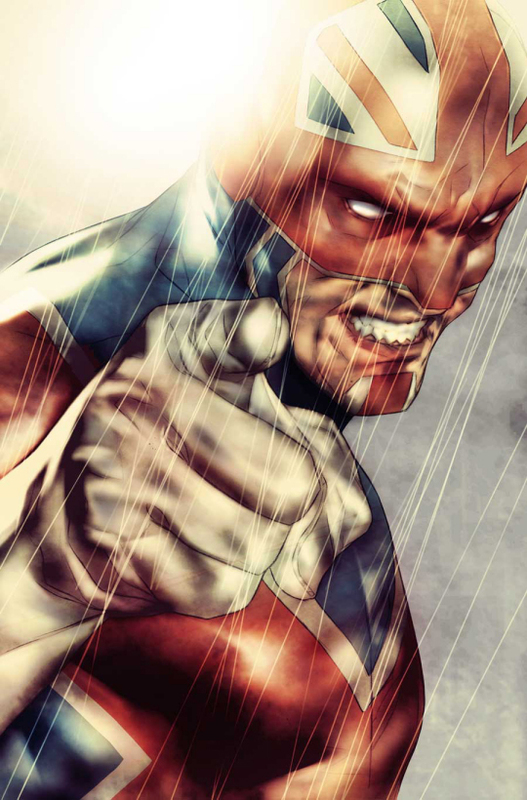 THIS BLOG NEEDS MORE CAPTAIN BRITAIN! Writing a daily blog, you'd think you'd get to highlighting all your favourite things about pop-culture. Wrong. One of my favourite Marvel team books ever has to be the Chris Claremont and Alan Davis run on Excalibur. It's light-hearted UK-based fun wasn't as dark as the X-books of the time, despite the fact Galactus wanted to eat Phoenix! 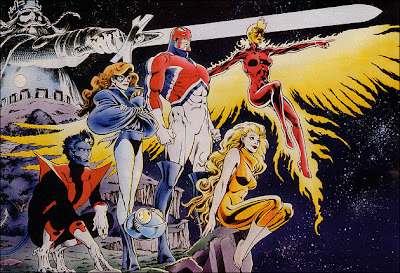 While Nightcrawler was my reason for initially pulling the sword from the stone (or the title from the racks), Captain Britain and Meggan were what kept me repeating the feat month in, month out. 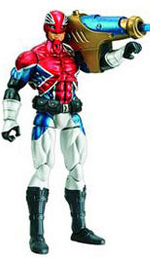 Fast forward a few years and Captain Britain is one of the main Marvel figures I try to follow. Literally. Not only does Captain Britain and MI13 rank as the saddest cancellation in the history of cancellations, the Captain B figure from the second wave of Captain America: The First Avenger toys is the first in years I'm actually waiting like a school-kid for. Hawt-doggie - if that isn't the best piece of art I've seen all year, I'll eat my vegetables! What non-A-list characters do you love? Well Mrs. D is right there with you Dan. X-Caliber was and remains her favorite title, and for the same reason. She started collecting when Nightcrawler pulled up stakes and moved across the pond. Wow thanks iok! That's pretty cool! I tell ya Craig - Mrs D is so good at picking the right things you might want to get her to be a judge on American Idol! The fact her tastes are inline with mine might make my opinion bias though!